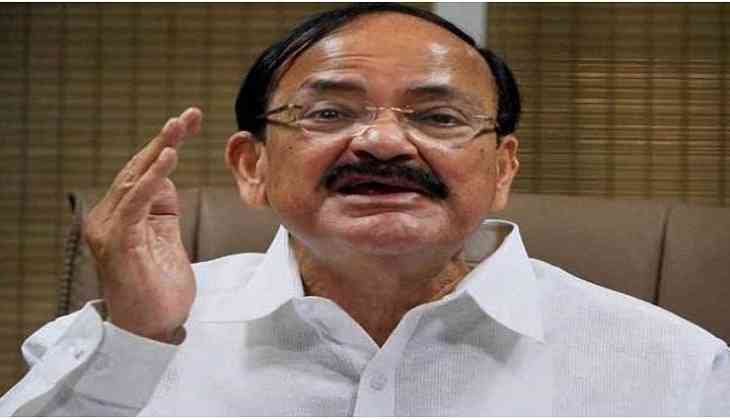 Union Minister M Venkaiah Naidu on 28 June condemned the lynching of a Muslim teen on board a Mathura-bound train, and sought action against the culprits. Junaid (17) was stabbed to death while his brothers - Hashim and Sakir - were injured by a mob which also allegedly hurled slurs against them on-board the Delhi-Mathura passenger train between Ballabgarh and Mathura stations last week. "Any incident of such nature is condemnable. It is brutal, atrocious. It will not be acceptable at all. People who are responsible for the same should be identified and dealt very firmly," Naidu told reporters here. Stressing that what happened in the case of Junaid was "totally wrong", the information and broadcasting minister said nobody can "take law into their hands whatever may be the reason". "I hope the concerned local agencies conduct an inquiry and take appropriate action," he said. Yesterday, Haryana Chief Minister Manohar Lal Khattar had promised to take action against the culprits. In an interview with a daily, Khattar had said, "The government will not allow anyone to take the law in his hands." Faridabad Deputy Superintendent of Police (Government Railway Police) Mohinder Singh had said the police were scanning CCTV footage from various points in the vicinity of the place where Junaid was stabbed on-board the Mathura-bound train to find clues of the remaining accused in the case. "We are trying to procure the CCTV footage from various points which may help us in nabbing the remaining accused," he had said. Singh said investigations were under progress and expressed hope to nab the other accused in the case. "One accused has already been arrested," he had said. Police had also announced a reward of Rs one lakh to anyone who gives credible information leading to arrest of other accused in the case.